I always enjoy reading the rules for RV Parks. Gulf View is one of the tidiest and cleanest parks yet. But with many permanent "park homes" as they are called owners just can't resist. The rules say "No . . . excessive clutter will be permitted on sites . . . and residents wishing to enhance their sites . . . need management approval." Check the photo and see if you think the rules are being followed. 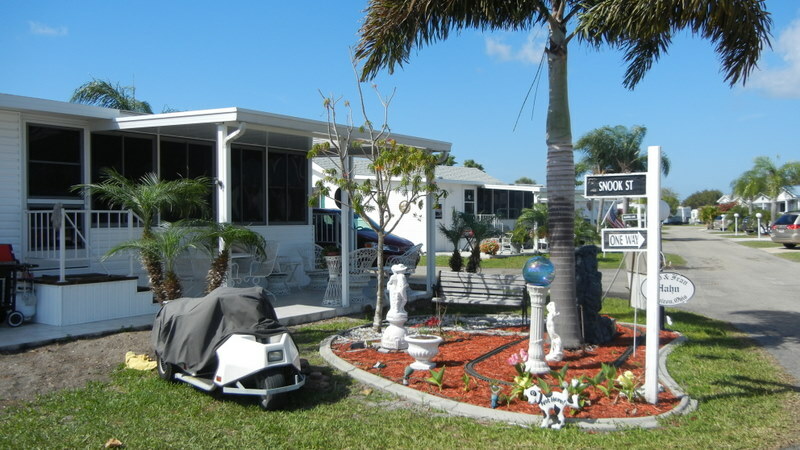 Park homes like this are for sale; 408 sq ft at $21,900 + $387.50 per month. The Port Charlotte Rotary Club meets Wednesdays at noon at South Port Square. We kept looking for a shopping mall until we found it was an assisted living center. The speaker was the sales director for the facility. South Port Square is a very impressive facility and markets itself as a continuing care retirement community. About ½ the audience was snowbirds including 4 Rotarians from Canada. Driving back we stopped at Muscle Car City, the museum of GM muscle cars. 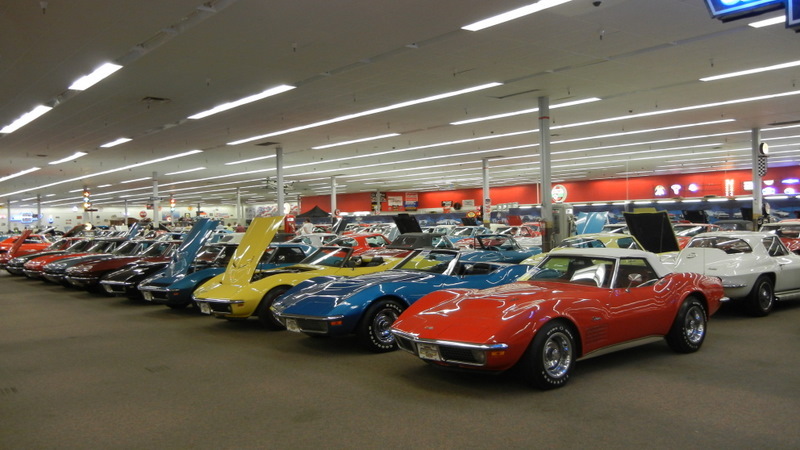 There were at least 40 Corvettes from just about every year. A 2010 model had a sticker price of $122,250. 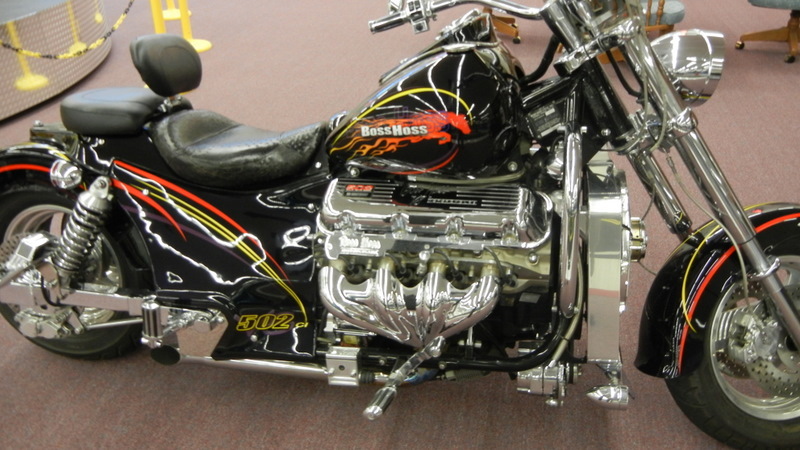 Over in a corner was a Boss Hoss Cycle, Inc. motorcycle made in Dyersburg, TN. It has a Corvette V8 engine providing 355 to 425 HP. Just what every rider needs in a motorcycle. 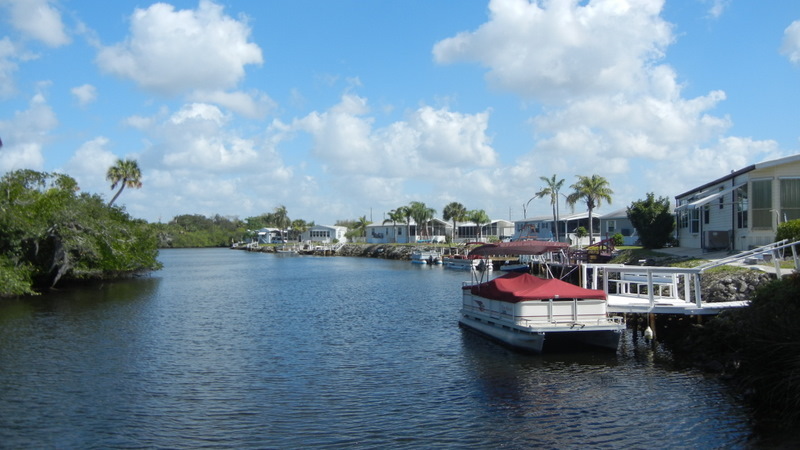 Tomorrow we head north to Oscar Scherer State Park near Venice, FL.